Portable, packable protection. 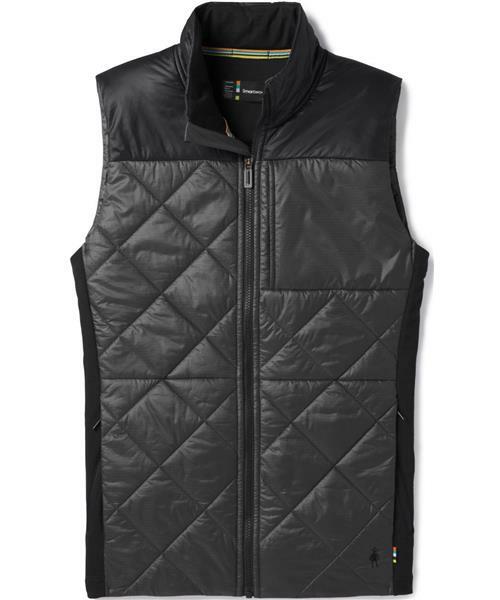 The Men's Smartloft 120 Vest is insulated with Smartwool's proprietary 88% recycled wool insulation to give you lightweight breathability and warmth even when wet. And with a wind-resistant, DWR-coated nylon exterior and a Merino wool lining, this vest is versatile, keeps out the elements, and feels as comfy as all get out.